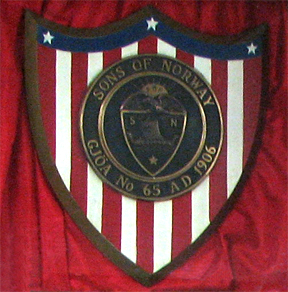 Sons of Norway is a Fraternal Benefit Society for people of Norwegian background, by birth, descent, or affiliation. It is an International Society operating from the Atlantic to the Pacific and from Alaska to Norway. We are served by three areas of supervision; International, District, and Local. The International Headquarters are located in Minneapolis. There are eight districts and Sioux Falls is a part of District #1. Our Lodge, Gjoa #65 (named after Roald Amundsen´s ship) was instituted in November 1906. We meet on the second Thursday of the month at the Nordic Hall, located at 218 W. 13th. Street, at 7:00 p.m. The evening starts with a business meeting, and then a program, followed by a potluck lunch, provided by the members who bring a variety of food to share. The exception is the June, July, and August potluck picnics, which are held at the lower level of Tuthill Park on the second Thursday at 6:00 p.m. In case of rain, the picnics are held in the lower level of Nordic Hall at 218 W. 13th Street in Sioux Falls. The Lodge provides chicken, coffee, and cold drink. Effective January 1, 2012, our annual dues are now $41.50 for the Primary Member and $34.50 for the Spouse, or $76.00 per couple. We support the Nordland Fest, the Nordland Heritage Foundation, and Syttende Mai Celebrations. Scholarships are available to children and grandchildren of members for the Nordland Fest Language Camp at Augustana College, Skogfjorden Language Camp at Bemidji, and Masse Moro Norwegian Heritage Camp at Fall Creek, WI. Every year we put on a Torsk Dinner the first Friday in March, which is open to the public as our only fund raising project. We donate to the Salvation Army, Union Gospel Mission, Glory House, Food Pantry and the Angel Tree at the Empire Mall. Memorials are given to the Sons of Norway Foundation, in the event of the death of a member. We invite you to contact one of the following committee members for an application to join Sons of Norway or request further information about our Lodge and Sons of Norway. Unites people of Norwegian descent or interests in a common bond. Sons of Norway is truly a democratic society. Extends "Hand of Fellowship" in USA, Canada and Norway. Sons of Norway is a Non-Proflt organization. Sons of Norway members own the Society. Each member has a voice in its operation. Members all belong to one of several hundred lodges. Each member may: attend meetings, vote on all matters, hold office, participate in any or all social events. 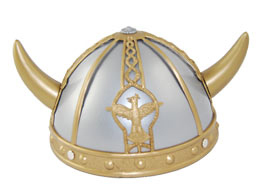 Members receive the "Viking" magazine each month. Members are informed about: Society happenings and Cultural events, News from Norway, Travel programs, Genealogy, Product ads, Listing of Lodge locations, etc. Information on Travel programs including: Charters and tours to Norway and Scandinavia, Cruises to interesting ports of call, and Escorted tours to Norway and other places of interest. Lodge visitation privileges to all US, Canadian, & Norway Lodges. Notification of Heritage Celebrations, such as Syttende Mai, Nordic Fests, etc. Lodge social activities such as: foods, arts/crafts, sports, picnics, dances, bus trips, folk dancing, etc. Norwegian Language Camps and classes for children and adults. Services of International Headquarters in Minneapolis including: lnformation Bank, Book service, Information on Norwegian arts and crafu, Film and slide programs, Video programs for members use, and Financial services. Preservation of Norwegian Museums and Landmarks. Sons of Norway offers many additional programs. Lodges become active in community outreach programs. Insurance plans that are available only to members, including: Life Insurance, Mortgage Insurance, Retirement Insurance, Annuities, Health Insurance and Disability Income, Cancer Insurance, Medicare Supplements, Auto and Home Owners Insurance. Financial advice and planning assistance. Heritage Membership for children and grandchildren, including a quarterly newsletter. Discounts on hotel and car rental. Sons of Norway is truly a family organization. The mission of Sons of Norway is to promote, preserve, and cherish a lasting appreciation of the heritage and the culture of Norway and other Nordic countries while growing soundly as a fraternal benefit society and offering maximum benefits to its members.